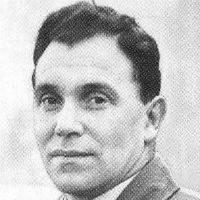 The ex-Dundee centre half had been with Arbroath for eight years as a player, captain and manager when he was offered the Dundee United job in March 1957. At Gayfield Park Gray was part-time, also holding down a secure and well paid day job that he didn't was to give up, and so accepted the managers position at Tannadice on a part-time basis only. After a mid table finish in 1957, his second season was an improvement with a 9th place finish. However the 1958/59 season started badly, with United leaking goals at an alarming rate, and Gray resigned in October 1958 citing ‘pressure of business’. Gray went on to become a part-time scout for Rangers.